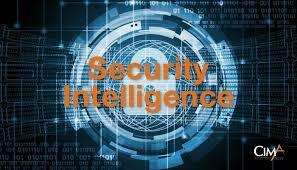 Security & Intelligence Services India Ltd recorded volume of 6.62 lakh shares by 14:14 IST on NSE, a 23.24 times surge over two-week average daily volume of 28494 shares. The stock gained 4.82% to Rs.854.90. Volumes stood at 1.9 lakh shares in the last session. Jyothy Laboratories Ltd clocked volume of 13.18 lakh shares by 14:18 IST on NSE, a 11.58 times surge over two-week average daily volume of 1.14 lakh shares.  The stock gained 0.52% to Rs.185.30. Volumes stood at 41685 shares in the last session. Zydus Wellness Ltd saw volume of 1.09 lakh shares by 14:14 IST on NSE, a 8.71 fold spurt over two-week average daily volume of 12472 shares. The stock increased 0.01% to Rs.1,340.10. Volumes stood at 63646 shares in the last session. Hathway Cable & Datacom Ltd notched up volume of 11.49 lakh shares by 14:14 IST on NSE, a 8.14 fold spurt over two-week average daily volume of 1.41 lakh shares. The stock rose 13.50% to Rs.29.85. Volumes stood at 1.5 lakh shares in the last session. Phoenix Mills Ltd registered volume of 4 lakh shares by 14:14 IST on NSE, a 6.81 fold spurt over two-week average daily volume of 58746 shares. The stock slipped 0.38% to Rs.657.55. Volumes stood at 21144 shares in the last session.